The historically eminent, spiritually significant and amazingly panoramic Mandi is spread out along the banks of River Beas. A commercial hub and a former capital of the princely state, the heritage town retains its historic charm and character. The town was founded in 1526 AD and at the creation of Himachal Pradesh on 15 April, 1948 it made the district headquarter by merger of the princely states of Mandi and Suket. Besides the river ghats and among the town’s streets are over 80 stone built temples that are decorated with religious motifs and well chiselled idols of gods and goddesses. 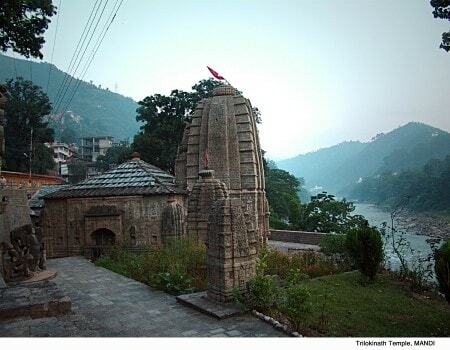 Lord Shiva as the main deity of Bhootnath, Trilokinath, Panchvaktra and other important temples has ordained Mandi as the ‘Varanasi of the Hills’ as ‘Choti Kashi’. For its temple architecture, old palace and rich traditions, Mandi is so often considered as the cultural capital of the state. A weeklong festival of Shivratri, held every year in February-March, is when the entire town wears a decorative look. Over 200 village deities (Devtas) with their followers from near and far visit Mandi for Shivratri where stalls laden with local merchandise are set up; exhibitions, sporting events and entertaining cultural programmes in the evenings are held to complete the festive moments of the fair. Language spoken: Hindi, Punjabi and English are understood and spoken by the people engaged in tourism trade. Residents of Mandi usually use Mandyali, the local dialect, in their every day communication. Clothing essentials: In summer, Mandi can get hot and sticky like the Indian plains, making cotton clothing the preferred choice, but in winter the mercury can dip to sub 5-degree Celsius and heavy woollen clothing is essential. Air: The nearest airport for Mandi is at Bhuntar, Kullu. The airport is 60 Km from Mandi. Rail: The nearest broad gauge train travels up to Pathankot, from where a narrow gauge train gets to Jogindernagar. The 55 km distance from Jogindernagar to Mandi has to be covered by road. Road: Mandi is approachable by road from Shimla, Chandigarh, and Delhi. Luxury and ordinary buses connect Mandi to other tourist towns of Manali, Palampur and Dharamshala. Indira Market, a circular complex on the periphery of Subhash Garden, is the main shopping arcade of the town. A clock tower (Ghanta Ghar) built in 1939 is a remnant of the colonial times when all the days scheduling was regulated by this public watch. This three storied pagoda style tower in the town center is part of the main market. In the market you can pick up aesthetically made stone and metal artefacts, delicately handcrafted rugs, carpets, wooden craftware, traditional jewellery, leather chappals (sandals) and more. The well maintained Subhash Garden is a great place to relax. A walk past the colourful and busy alleys of Old Mandi’s Bazar gets to Baba Bhootnath temple. Built at the time when the town was founded, the temple is dedicated to Lord Shiva. Shivratri, the main festival of Mandi, gets underway after Mahdo Rai and other deities make a visit to Bhootnath temple. As you follow the path to the river, there is the grand Victoria Bridge, an engineering marvel built in 1877. The river bank is dotted with ghats and stone temples, all built in the Shikhara style. One of the finest temples in the entire valley is the Panchvaktra temple built at the confluence of River Suketi with Beas. The shrine houses a five faced idol of Lord Shiva in the sanctum sanctorum. For its architectural beauty and fine sculptural carvings the temple is declared a National Heritage Site monument. Another important temple of Mandi is the Trilokinath temple. It houses an idol of a three faced Lord Shiva and goddess Parvati. Overlooking Mandi town, it is a pleasant uphill walk to get to Tarna Mata temple. Dedicated to Shyama Kali, an incarnation of goddess Parvati, the temple can also be reached by motor transport. The temples courtyard is a good place to relax and enjoy panoramic views of the hills around with the bustling Mandi town below. Mandi is a major commercial hub with its fair share of good restaurants and eating joints which serve continental, north Indian and local cuisines. Raj Mahal Palace with its well-kept gardens and classical music playing in the background is one of the better places to relish a meal. 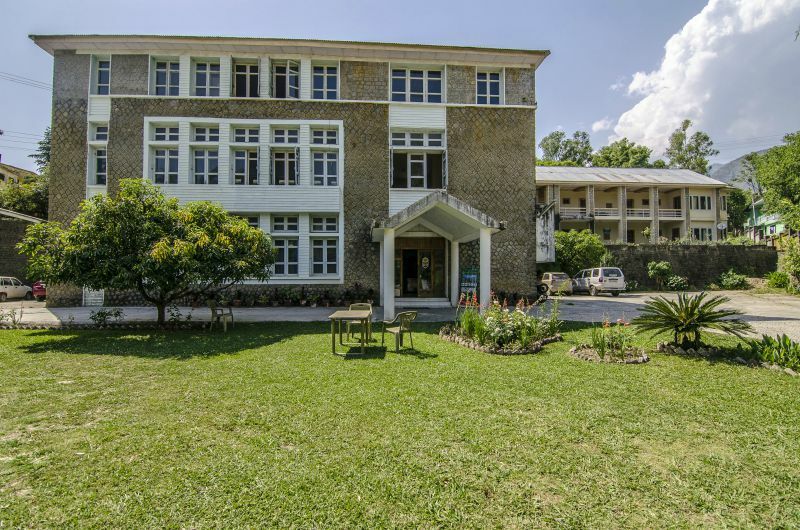 Mandi is a medically well-equipped town with a host of privately run speciality hospitals. There is a zonal level government hospital and at Ner Chowk is a state of the art Government Medical College & Hospital that caters to all medical needs and emergencies of the entire region. Well connected by road to other tourist destinations including Manali, Dharamshala, Palampur, Shimla and the major cities of Chandigarh and Delhi, Mandi can be commuted locally by bus and taxi. Mandi town with its ancient temples drapes itself in colour and flare for Shivratri, a week long celebration held every year. It’s also a time when hundreds of local deities carried by human bearers in elaborately decorated palanquins congregate to join the festivities. All the Devi’s and Devta’s cast in precious metals riding in their palanquins are dressed with flowing and colourful fabrics. When swayed in rhythm to a lively drum beat by the accompanying folk bands, these deities participating in the merriment is a spectacle to behold. On entering the town, they make their first call at the Madho Rai Temple, and then proceed to pay obeisance to Lord Shiva at the Bhootnath Temple. Grand parade of men wearing colourful turbans, cultural evenings, exhibitions, sports and savoury dhams (local dishes served in a leafy platter) along with the gathering of deities makes Mandi Shivratri a religious and cultural crowd puller for locals and tourists alike. In mid April, Baisakhi is celebrated with much fanfare across the district with many trekking to the mountaintop holy lake at Prashar. Many village fairs are also held for the occasion where wrestling bouts, dancing and archery competitions are a big attraction. 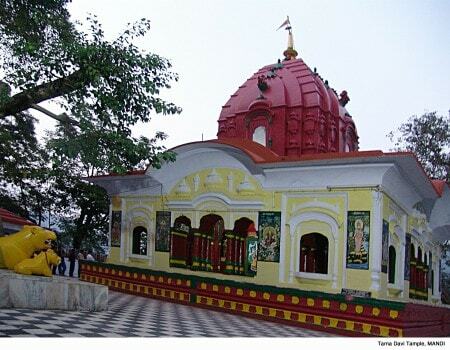 During the Chaitra Navratri in March/April and Ashwin Navratra’s in September/October a large number of pilgrims do visit the Tarna and the Bhima Kali Mata temples of Mandi to seek blessings of Goddess Durga. Vast green pastures, captivating views of snow clad ranges and untrodden terrains of Janjheli are fast taking their place on a traveller’s itinerary. The farms and orchards spread over gentle slopes with mighty deodar (Cedar) and oak forests scaling the heights give Janjehli a lively rural charm. It is a trekkers delight and serves as a base for several trekking routes to places like Shikari Devi, Kamrunag, Chindi, Karsog and Shoja that are in easy reach from the valley. The 15 km trek to Shikari Devi, the highest mountain of region is a very popular with day hikers. Janjehli can only be reached by road and is 85 km from Mandi. 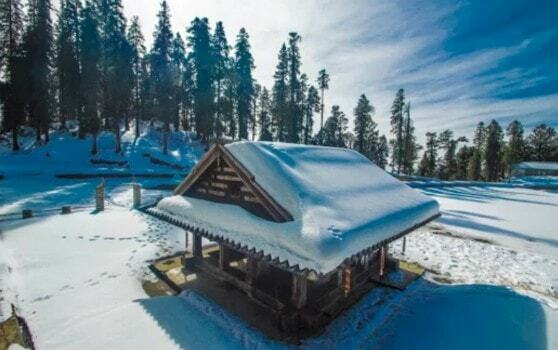 Towering over the region, Shikari Devi at an altitude of 3359 meters is known as the crown of Mandi. It is the highest peak of the district. While the surrounding areas receive a lot of snow, miraculously the wind movement keeps the peak dry even in deep winter. 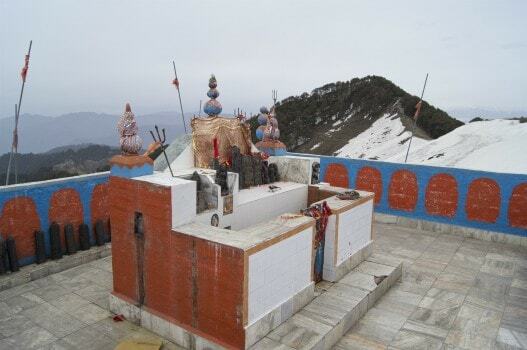 With mystical aura and splendid panorama, Shikari Devi peak is topped by a roofless temple dedicated to a goddess. This Shikari Devi peak is 101 km from Mandi and 15 km from Janjheli. Revered as a rain god, Kamrunag was banished from the legendary Mahabharata battle for having sided with the Kaurava forces. The story goes that the snake god was tricked into making an offering of his head to Lord Krishna before he could reach the battlefield. In return for his sacrifice and devotion, Kamrunag was blessed in being able to witness the epic battle from Kamru mountain itself. To do so, his severed head was placed besides a lake from where he could see the Kauravas and Pandavas battle the Mahabharata. A wooden temple stands at the place where the deity Kamru Nag is housed besides the lake. Saranahuli is a two-day summer fair is held at Kamru in mid-June. Pilgrims converge to the mountain top site in large numbers every year to make offerings of gold, ornaments and coins by throwing them into the holy lake. The offering made seek the god blessings and is counted as a good omen. Every year Dev Kamrunag does visit Mandi to participate and celebrate Shivratri. Kamrunag lake and temple can only be reached on foot. From Rohanda, Kamru Hill is a 5 km uphill trek and from Mandi it is at a driving distance of 55 kms. The holly waters of Rewalsar with an abundance of fish is held sacred by Hindus, Sikhs and Buddhists alike. In close proximity to each other, besides the lake, stands a Gurdwara, a Buddhist monastery and three temples, and each faith believer freely participates in a religious life with no cause for alarm from anyone. An imposing statue of Padmasambhava overlooking the small township adds to the religious sanctity of the place. Fishing in not allowed in the lake but tourists and locals can feed the fish. 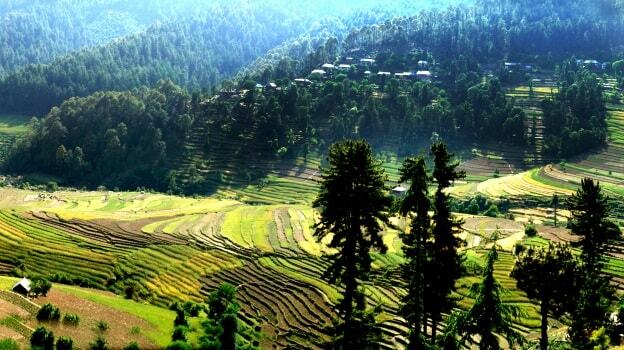 At a distance of 25 Km from Mandi, Rewalsar is a much visited place by pilgrims and tourists. 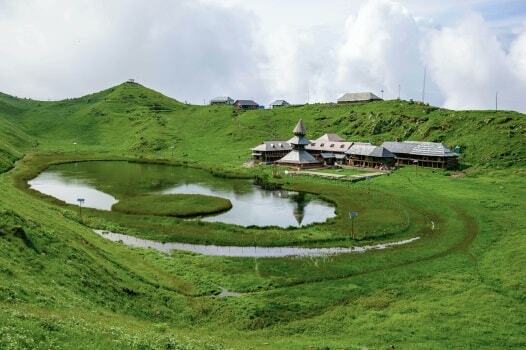 This pristine lake with a three storied pagoda like temple dedicated to the sage Prashar is a backpacker’s paradise. Located at an altitude of 2,730 meters, the lakes deep blue waters are considered sacred. 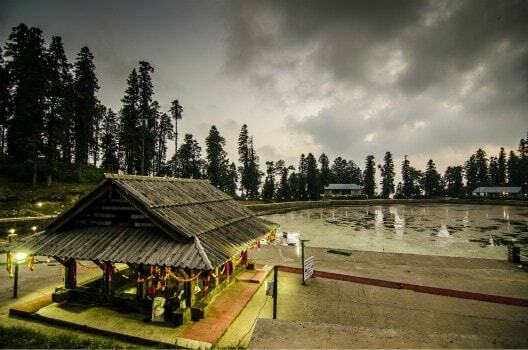 Prashar, a learned Hindu sage is believed to have meditated besides the lake. In June a fair is held by the lakeside. There are several camping sites on the periphery of Prashar and many easy to difficult graded treks to explore in the region. Prashar is 45 km from Mandi. Overlooking Mandi township in the valley, atop Tarna Hill is the 17th-century Syamakali Temple dedicated to goddess Kali. Being a consort of Lord Shiva, the goddess is worshipped for her ferocity in dealing with evil. Other important temples are the Mahamritunjya Temple, which houses a Lord Shiva idol sitting in a meditative posture. There is also a Ganpati Temple and a Bhima Kali temple on the bank of the river. There are many other temples at Mandi that preserve the town’s heritage. Mandi also has a Sikh connection. Guru Gobind Singh, the 10th Sikh Guru, did spend some time in the place during a time when he was waging a war against Aurangzeb, the mighty Mughal. 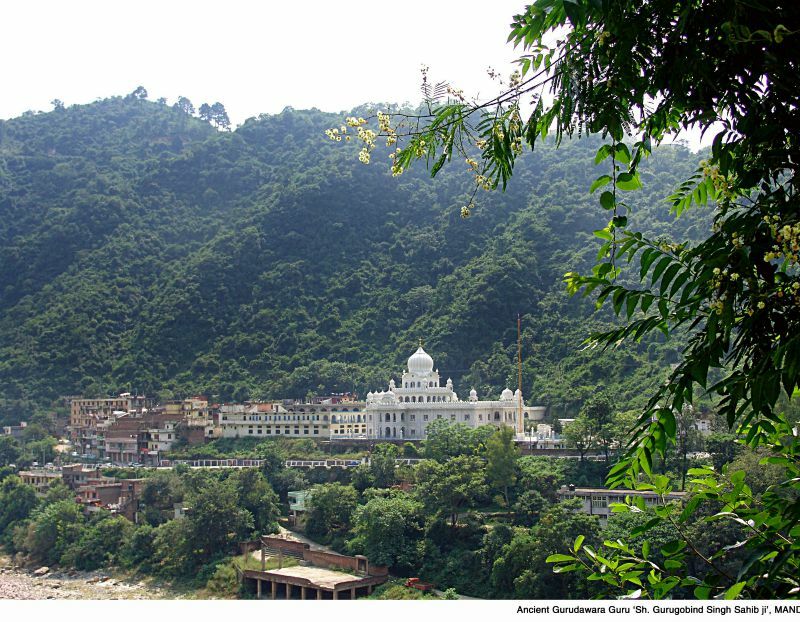 A majestic Gurudwara constructed on the bank of the river is known as Gurudwara Palang Sahib. A bed (palang) housed in this Gurudwara is believed to have been used by the Guru. Shivratri being the main festival is held annually with much fanfare. Celebrated on a moonless night during the Hindu calendar month of Phalguna (February/March), the festivities mark the overcoming of evil, ignorance, and darkness with light. Another belief for celebrating Shivratri is that it commemorates the marriage of Shiva with Parvati. Festivities break out with offerings and prayers at Bhootnath temple. A grand parade of men wearing colorful turbans is also held. 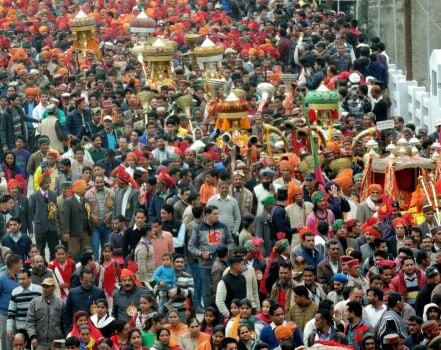 For Shivratri, more than 200 deities from the neighboring region congregate at Mandi. These deities, carried on elaborately decorated palanquins, make their way for an annual round of the most revered temples. Music, song, dance, and drama make the air feel rich with its deep tone of revelry punctuated by innate spirituality. In the evenings, local and international troupes present cultural items. The Mandi Shivratri has been accorded an International Fair status. Named after Raja Joginder Sen, a princely head of a state, this beautiful hill station is where the 163 km long Kangra valley narrow gauge rail track ends. The rail line was laid in the early part of the 20th century to construct one of the country’s first hydro-electric projects. An electric trolley ride that takes a visitor up a steep and rocky face to a 2,500 meter mountain top and then drops down on the other side into Barot valley is a great attraction at Jogindernagar. 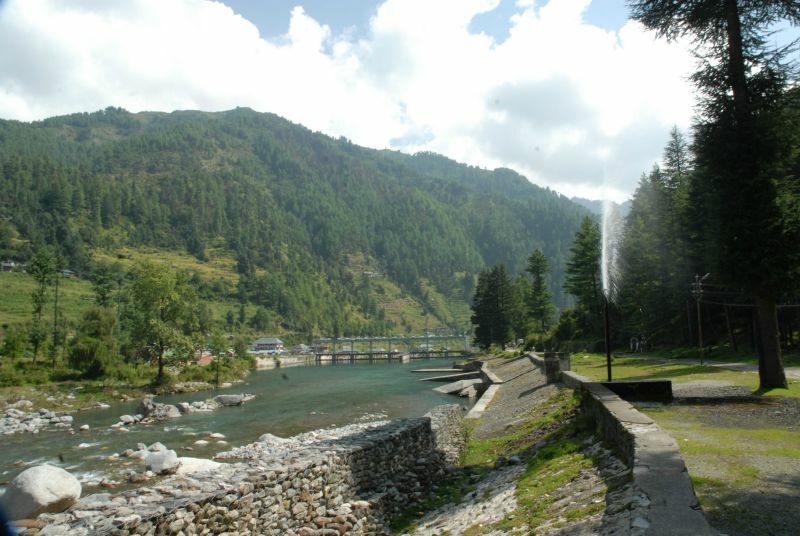 At Barot, on River Uhl, is the reservoir that feeds the turbines of the hydroelectric plant. At a distance of 56 km from Mandi, Jogindernagar also has many adventure sports activities like mountain biking, camping and trekking to indulge in. 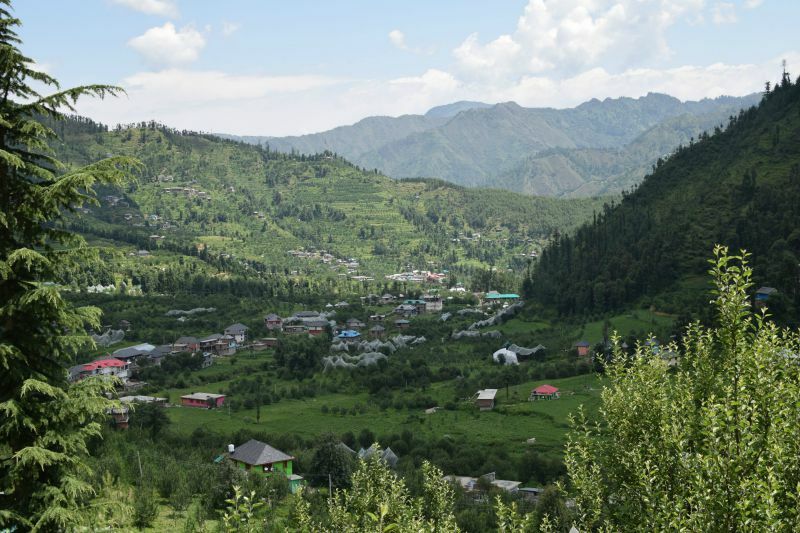 Nestled in a laid back but very scenic valley, Barot is famous for gaming trout fish. The snow fed River Uhl is well stock with the exotic fish by a breeding center at Barot. Ample opportunities for trekking and camping exist in the valley. The place can be reached by road only and is 67 km from Mandi and 40 km from Jogindernagar. As one who holds the five elements earth, water, air, fire and ether together, the five headed Shiva at Panchvaktra Temple is a highly revered shrine. 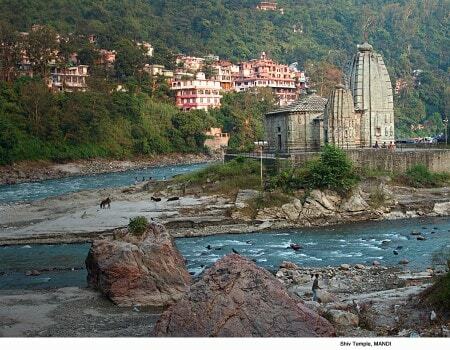 Located at the confluence of Suketi with Beas river, the temple has very scenic surroundings. Manifest as the all powerful lord presiding over the three worlds of heaven, earth and hell that is depicted in the three headed idol at the Trilokinath Temple, this is one of the most important temples of Mandi. Some of the most well known temples built in the indigenous hill architecture style are in Karsog valley. One of the rare but highly revered temples is that of Kamaksha Devi. The stone and wood structure with tiered slate roof, the temple is an architectural gem. Other important temples are that of Mahunag and Mamleshwar Mahadev, which has an eternal flame that has been burning for centuries. During the rainy season, from July to September, well irrigated fields growing a paddy crop in the valley is a beautiful sight to behold. In a fertile valley Sundernagar, like its name, is a scenic place made famous by the beautiful gardens of Sukhdev Vatika and a manmade lake. An open canal that diverts water from River Beas to River Sutlej for feeding a large hydropower plant passes through Sundernagar. 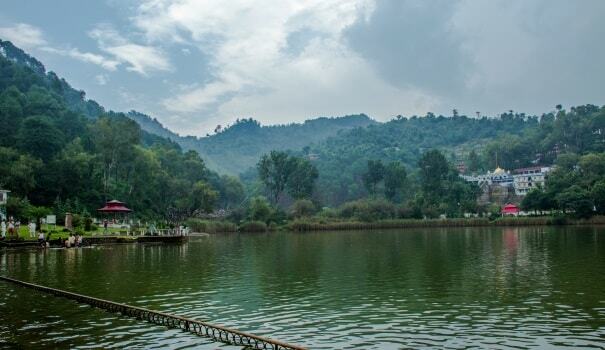 The manmade lake created by this open canal is ideal for longs walks, picnic spots and camping sites. The temple of Mahamaya as the goddess of worldly illusions is a deeply revered one. Sundernagar is at a distance of 26 kms from Mandi.